Watch video clips from more than 30 microbreweries in Vietnam at beervn.com’s youtube channel. Short clips from microbreweries in Hanoi, Ho Chi Minh City, Da Nang, Phu Quoc and Ninh Binh. A list of all 47 microbreweries in the country can be found here. There are 25 microbreweries in Hanoi and about 10 in Ho Chi Minh City. There are many to choose from and all make Czech or German style beers. All the ingredients except the yeast are imported and most of the knowledge comes from experienced brewmasters that spent many years brewing in Czech Republic and Germany. 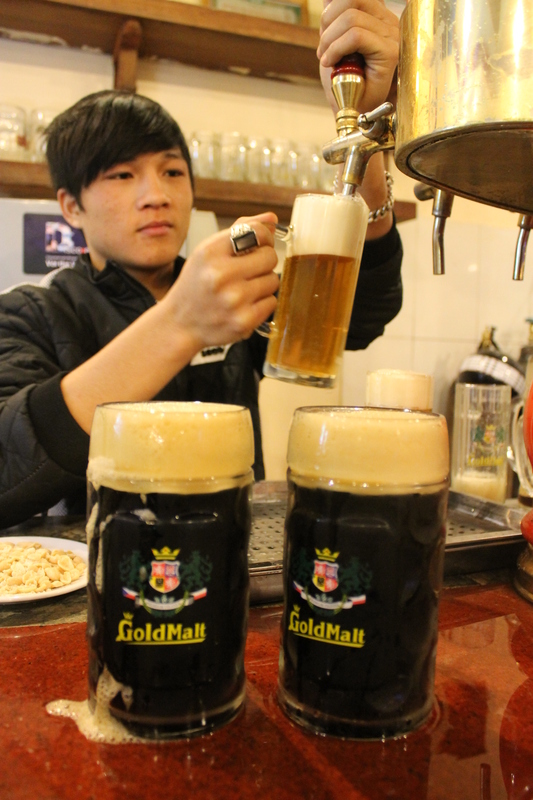 The average price of a beer at one of these breweries are 35 000 VND which is less than two USD. Ninh binh is a popular tourist destination in Northern Vietnam and has since 2014 a microbrewery that have two German style beers on tap. Vietnam is a great country for beer enthusiasts and you can also find ale and a few others beers too. There are more microbreweries here than in any country in the region.